It seems like only five minutes ago when we released our SS17 collection, which has had such a tremendous response, and here we are getting ready to launch our new season collection! For the new season, AW17 collection, we are staying true to our vintage inspired history as we continue to pay homage to the fabulous forties and glamorous fifties. We have used luxurious fabrics, beautiful prints and lovely finishes to create a warmer collection as we head towards cooler temperatures. Banned Aapparel New Season skirts, tops and footwear. 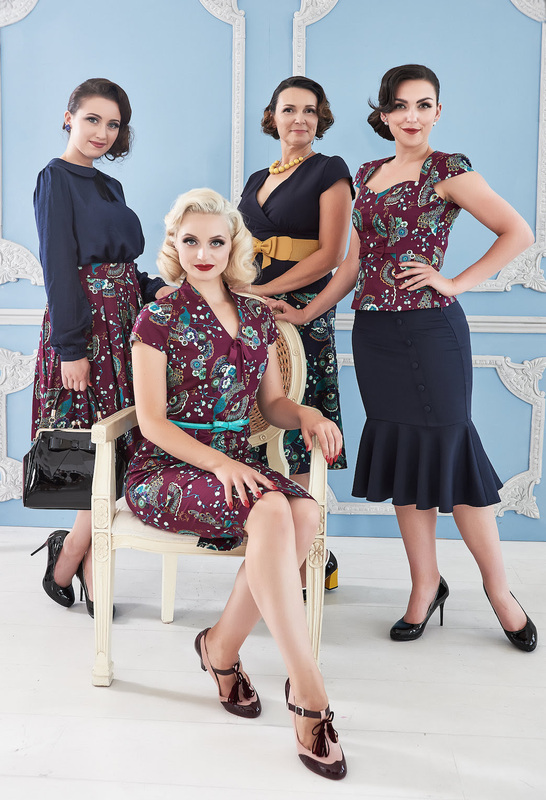 Our Dancing Days collection caters for every type of vintage taste and is very versatile too! 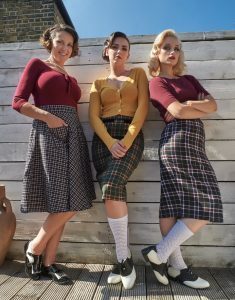 It is ideal for adding a subtle touch of vintage to your everyday wardrobe or for going all the way with a full vintage inspired recreation. We pride ourselves in the careful attention to detail when designing our collection; researching fabrics, silhouettes and cuts whilst adding our very own Banned Apparel twist. Banned Apparel are manufacturers of fine vintage clothing, apparel and footwear and, although we do not sell directly to public, we do have an incredible collection of retailers worldwide. In one month’s time we will be launching our new season collection at LondonEdge; an authentic lifestyle fashion trade show which will take place at the Business Design Centre, London from Sunday the 3rd to Monday the 4th of September. This show is not open to the public but don’t worry, our stockists will be visiting and making their orders to satisfy your insatiable need for all things vintage. If you are a stockist or are looking to join the Banned Apparel family you can find us on stand number M113 & M124 at LondonEdge. It is quick and easy to register for this event and transport links in and around the area make it easy to get to. Well, the pictures are pretty small so I can’t really tell what the clothing looks like. Or am I missing something? Really hope that there’s going to be a good range of plus size, especially the cat blouse.